The majority of Afro-Brazilians live in the nine states of the country's northeastern section—home to nearly one-third of all Brazilians. Most Afro-Brazilians live near the coastal regions where there is an abundance of rainfall. The northeast states have three distinct areas. The flat coastal strip, which literally meals "forest zone," has rich soil that is suitable for the cultivation of sugarcane plantations. Vast hills and mountain ranges begin just miles from the fertile coastline. Highland shrubs and cacti grow here in large numbers. Lastly, the semi-arid interior covers nearly three-quarters of the northeast's area (however, the least amount of people live in this topographic region—mostly those of Portuguese or Indian descent). Soil quality is poor and rainfall is often unpredictable. The Portuguese claimed the rights to the territory that makes up modern-day Brazil in 1500, and in 1532, they began bringing African slaves to Brazil. The Africans introduced the Brazilians to new cooking styles and tastes, such as cooking food in dendê (palm oil), using okra as a thickener and a vegetable, and using the banana in different dishes. Africans also introduced a wide variety of chili peppers and ginger to season food, and this practice has continued to be part of Brazilian cooking. Another cooking technique Africans took to Brazil was the use of dried smoked fish and shrimp. The oldest African dish in Brazil, carurú , dates back to the 1600s. It is a spicy stew made with smoked fish or shrimp, quiabo (okra), onions, dendê (palm oil), and peppers. In the twenty-first century, the African influence on ingredients and cooking techniques still thrives, especially in the northeastern state of Bahia. Place the water in a large saucepan and bring to a boil over medium heat. Trim the tops and stem ends from the okra. Place the okra in the water and cook for 3 to 5 minutes. Remove from heat, drain, and serve hot with butter. Most of the descendents of the African slaves, who were brought to Brazil by the Portuguese in the 1500s, live in the state of Bahia. Although Afro-Brazilian cuisine can be seen throughout Brazil, it is especially noticed in Bahia, where the people have kept the culture, food, and Candomblé religion (a mix of Roman Catholic and African religions) alive. The Afro-Brazilian cuisine features malagueta (chili peppers), dendê (palm oil), seafood, coconut milk, banana, and okra. 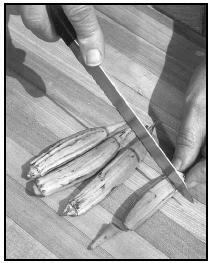 The tops and pointy tips (tails) of okra may be trimmed using clean scissors or a knife. containing fish, shrimp, ground peanuts, coconut milk, dendê , and bread. Another favorite dish is moqueca , a stew made with fish, shrimp, crab, or a mixture of seafood in a dendê oil and coconut milk sauce. Moqueca is usually served over white rice. Bring the water to a boil in a saucepan over medium heat. Stir in the rice, salt, and butter. Remove the saucepan from the heat, and let it sit for about 5 minutes. Place the shrimp in a bowl. In a small bowl, combine the juice of one lime, vinegar, and salt. Pour over shrimp and set aside to marinate for at least 30 minutes. Add 1 Tablespoon vegetable or olive oil to a large saucepan and heat over medium heat. Add garlic cloves and cook until golden brown. Add onion and cook, stirring often with a wooden spoon, for about 5 minutes until the onions are softened. Pour shrimp and marinade into pan. Add cilantro, tomato paste, and pepper to taste. Stir in coconut milk and bring the stew to a boil. Lower heat and simmer 10 minutes until shrimp is cooked through. Serve over boiled white rice. Break the eggs into a bowl and beat gently. Heat the oil in a large skillet over medium heat and cook the garlic, onion, and cilantro, stirring, until they are lightly browned. Pour the eggs into the skillet, stir, and cook for a few seconds. Reduce the heat to low, and continue to cook, stirring occasionally, about 5 minutes. Season and serve hot over white rice. Afro-Brazilian cuisine is well known for its sweets and desserts, probably because of the influence of the Portuguese colonists who brought their love of sugar with them from their European homeland. The African slaves added their own style to the existing recipes. The women of the state of Bahia, the heart of Afro-Brazilian culture, make delicious sweets. One favorite is cocada, a coconut candy boiled in sugar water with ginger or lemon. Quindins (coconut macaroons) are another favorite sweet. Quindins are often served for dessert. In a medium-size bowl, mix the sugar, butter, and coconut together. Beat in the egg yolks one at a time, stirring well. In another bowl and using an electric mixer, beat the egg white until it is very stiff, and peaks remain on the surface when the beaters are lifted from the whites. Fold (stir very carefully) the beaten egg white into the egg yolk mixture. Grease the molds of a 12-muffin tin with butter and divide the mixture into the molds. Place the muffin tin in a larger baking pan filled with 1 inch of water. Bake for 35 minutes, or until the quindins are golden. Let them cool and remove from the tin. The African slaves transported to Brazil by the Portuguese brought their religion with them. The religion of the modern-day Afro-Brazilians, Candomblé, is a blend of the Roman Catholicism of the Portuguese, and African religions. Throughout the year, people who follow Candomblé worship orixás , African gods and goddesses. Orixás are similar to Catholic saints. Each has a distinct name and a favorite food. People who follow the Candomblé religion eat meals made from the saint's favorite food on the day that saint is celebrated. Iemanjá , the goddess of the ocean, is honored on February 2 of each year, and her favorite food is watermelon. Fishermen believe she protects them when they are out at sea, and that she will send large schools of fish for them to catch. The god Oxalá (Jesus Christ), father of all orixás, is honored at the Bonfim festival, held each year on the third Thursday in January. Since black beans are thought to be Oxalá's favorite food, many dishes for the festival are made with them. Cut the bacon strips into large pieces and fry them in a large pan over medium to high heat, stirring often. Cut the onion in half and peel off the skin and outer layer. Chop both halves into large pieces. Peel the cloves of garlic and chop into small pieces. Add the onion and garlic to bacon, and cook until they are golden brown (about 3 minutes). Add the water and black beans. Turn the heat to low. Cover and simmer for 20 minutes, until thick. If the beans look too thick, stir in more water, ¼ cup at a time. Festivas Juninas (June Festivals) are held in honor of certain orixás (the Catholic names for them are St. Anthony, St. Peter, and St. John). Corn, prepared in different ways, is eaten at all of the June Festivals, including puddings and cakes. One popular cornmeal dish, similar to polenta, is angu de milho . Place half of the water (1½ cups) in a medium-size saucepan. Add the salt, and bring to a boil over medium heat. Slowly mix the cornmeal into the remaining 1½ cups water. Gradually pour that cornmeal mixture into the boiling water, stirring constantly. Add the butter and continue to stir continuously until it thickens where it can hold its shape. Pour into a well-buttered 6-cup mold. Let it cool before removing it from the mold. The heart of Afro-Brazilian culture, practiced by descendents of the African slaves brought to Brazil by the Portuguese, is in the state of Bahia in northeastern Brazil. A large percentage of the people living in these regions are poor. Afro-Brazilians usually eat foods that come from their surroundings, such as fruit and seafood. Other foods are bought at large produce markets in towns or from farms. Breakfast includes papayas, mangoes, pineapples, warm tapioca with milk and cinnamon, and coffee. Favorite snacks are empadas and pastels , little pastries filled with meat or fish and olives and cheese. In a bowl, combine flour, salt, and butter. Add the egg and 1 Tablespoon of the water and mix until smooth, and form into a large ball. Beat the egg yolk with the remaining 1 Tablespoon of water to brush the tops of the empadas . Set the egg wash aside. For the filling, heat the oil over medium heat in a medium skillet. Add the onion and cook for 1 minute. Add the tomato, stock, nutmeg, shrimp or chicken, olives, parsley, and salt and pepper. Using a large round cookie cutter or rim of a large glass, cut out circles in dough. Place a heaping Tablespoon of the filling onto a circle of dough. Fold in half and press the edges together with fingers or by pressing with the back of a fork. Poke a hole in the top using a toothpick. Brush the tops of the empadas with the egg wash, and place them on a baking sheet. Along with other foods, street vendors (the equivalent to "fast food") sell the popular snack acaçá (steamed rice-flour pudding). It is prepared, wrapped in banana leaves, and steamed. In homes, acaçá is often eaten as a side dish with seafood meals. In a large saucepan, mix together the olive oil, coconut milk, milk, and salt and pepper. Reduce the heat to medium and whisk in the rice flour a little at a time, stirring constantly until mixture is smooth and thick (about 8 minutes). Gradually add the cream, mix, and pour into a lightly oiled 8x8-inch shallow oven-proof pan. A popular dinner is vatapá , a creamy dish of fish, shrimp, ground peanuts, coconut milk, dendê oil, and bread, typically served over white rice. Ximxim de galinha (chicken with peanuts and cashews) is another well-known dish. Sorbet, or passion fruit-, mango-, lime-, or burnt coconut-flavored ice, is a favorite dessert. Another popular dessert, which has been made for many years, is olho de sogra (mother-in-law eyes). 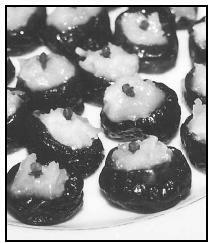 These are actually prunes stuffed with coconut, but they look like eyes. Place 1 cup each of the sugar, water, and coconut in a medium-size saucepan and cook over low heat until mixture thickens, about 15 minutes. Whip egg yolks until lemon-colored, and add them to the coconut mixture. Add the vanilla and return mixture to stove. Cook and stir over low heat for about 5 minutes. Remove from heat and cool again. Spread the prunes open lengthwise. Stuff the inside of the prunes with the mixture. Place a piece of clove in the center of the mixture. Roll the prunes in the remaining sugar. Serve them on a platter or in individual paper baking cups. The sweet treats, Olho de Sogra (Mother-in-law Eyes), may be enjoyed anytime. Some people may prefer not to eat the whole clove in the center. Living conditions for Afro-Brazilians are often dreadful, with an overwhelming number living in favelas , or slums. An estimated 69 percent of the population has no public sanitation, 63 percent does not have access to safe drinking water, and nearly 400,000 die of curable diseases each year due to poor health facilities. In addition, the Brazilian infant mortality rate, especially that of Brazilian children of African ancestry, is one of the highest in the world. Apparent discrimination of Afro-Brazilians has kept most uneducated, illiterate (unable to read), and living in poverty. Many Afro-Brazilians cannot afford the fresh and nutritious foods available to other Brazilians. According to the World Bank, those living in the impoverished areas of Brazil's northeastern states only make about one-tenth of the national average (approximately $230 each year). Ferro, Jennifer. Brazilian Foods and Culture . Vero Beach, FL: Rourke Press, 1999. Harris, Jessica B. Tasting Brazil: Regional Recipes and Reminiscences . New York: Macmillan, 1992. Idone, Christopher. Brazil: A Cook's Tour . New York: Clarkson N. Potter, 1995. Department of Agricultural and Biological Engineering at Purdue University. 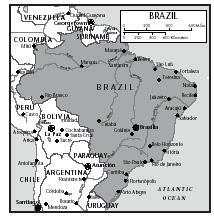 [Online] Available http://pasture.ecn.purdue.edu/~agenhtml/agenmc/brazil/desserts.html (accessed February 27, 2001). The Global Gourmet. 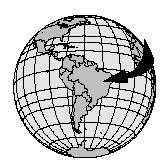 [Online] Available http://www.globalgourmet.com/destinations/brazil/guarana.html (accessed March 14, 2001).